Disagreements and conflict are unavoidable in relationships. When managed well, it’s okay – even healthy – to fight with your partner. Studies show that couples who engage in positive communication in response to conflict experience higher relationship satisfaction in spite of having conflict. Managing conflict takes self-awareness and effort, but it can steer the outcome of conflict from increased distance towards more profound closeness. Emotional distress emerges in an intimate relationship when one member’s needs for closeness, intimacy, or commitment do not match up with the other’s needs or expectations. We all carry with us a unique set of experiences related to attachment, so it is natural for differences to arise that activate defenses. In this way, conflict is actually a gateway towards a more profound sense of intimacy and connection. Rather than avoiding conflict all together, try seeing it as an opportunity for deeper understanding and growth in your relationship. This simple reframing may bring about a significant shift in how you and your partner respond to conflict. 1. Know what destructive patterns to look out for, and try to interrupt them as they are unfolding. During a fight, emotions tend to escalate. 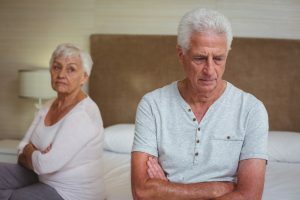 When emotions are intense and unregulated, we have a tendency to distort our interpretations of our partner’s actions as well as our own claims. These distortions typically manifest in defensive behaviours such as justification, contempt, accusation, criticism, exaggeration, negative attributions, and the disowning of responsibility. One way to interrupt this negative dynamic is to practice self-awareness. Are you saying things just to upset or anger your partner? Are you exaggerating or misrepresenting the facts to prove a point? Checking in with yourself and noticing these tendencies is the first step towards being able to interrupt unproductive distortions. Avoiding destructive communication behaviours is also a critical component of successful conflict management. According to couple researcher, John Gottman, criticism, defensiveness, contempt and stonewalling are toxic for a couple. Focus instead on expressing your feelings without blame, acknowledging your role in the conflict, keeping sight of what you admire and appreciate in your partner even when you feel angry towards or hurt by them. Finally, communicate your need for space if you feel the urge to shut down. 2. Make an effort to understand your partner’s perspective, and communicate this understanding to them. Unregulated emotion can lead to the trap of getting stuck in your own emotional experience. Emotions such as anger and hurt are very powerful, and can overwhelm the part of our brain that allows us to think rationally and objectively. Making an effort to step outside of yourself and to try to make sense of your partner’s experience can function to deescalate intense negative emotions in both yourself and your partner. Perspective-taking has been shown to reduce negative emotional reactions, improve willingness to and the capacity for compromise, and increase attunement to each other. Be curious, ask questions, show that you are interested in your partner’s emotional experience. Simply conveying the message that you want to understand your partner’s perspective can signal to them that they are not under threat and that they can let their defenses down. Try taking it one step further and communicate to your partner in your own words how you understand their distress. It takes one person to reach towards the other for understanding to transform conflict into connection. Make perspective-taking a mutual goal. 3. Nurture positive regard for each other. Knowing that your partner values you is known to have a positive effect on conflict management. When we feel valued and respected, we expect that our partner will be responsive to our distress. In turn, when we expect responsiveness from our partner, we are more likely to communicate our distress or dissatisfaction in an open and empathic way that will not elicit defensiveness in them. In other words, by nurturing a positive cycle of attentiveness and responsiveness, conflict is more likely to lead to mutual understanding and resolution. 4. Tap into the more vulnerable feelings and needs underlying your distress, and attempt to understand your partner’s needs as well. We all have a need for closeness and connection. This inherent need helps to protect our survival by ensuring that we have someone whom we can trust and rely on. When this closeness is threatened, we all revert to behaviours that we believe will protect us when under the threat of abandonment, neglect, or rejection. Common defensive patterns are avoidance, detachment, or attack. Once we start to see our own defensive patterns as a reaction to threat, it becomes possible to identify what we need. From an evolutionary perspective, our defensive behaviours function to help us get our basic needs met. When we perceive neglect, we may have an inherent need for our partner to show us that they are invested in the relationship by displaying affection or communicating more; by contrast, when we perceive an attack, we may need for our partner to soften and disengage from their threatening stance. From an attachment perspective, we have an inherent need for closeness and emotional distress arises when we perceive that our attachment figure is unavailable to us. In response to this feeling of insecurity, we either protest or avoid in order to protect ourselves. Developing an awareness of the feelings underlying your defenses will help you to understand what feels threatening about your partner’s behaviour, and in turn, what you need from them to feel more secure and emotionally regulated. By communicating our needs rather than our defenses, we give our partner the opportunity to meet our need rather than placing them in a position of opposition. If you are in a loving relationship, you can assume that your partner cares about you and does not have a desire to hurt you. Attributing negative motivations to our partner primes us to look for evidence of their thoughtlessness or hostility. Instead, try reframing your partner’s hurtful behaviour as an expression of their own hurt. This reframing technique automatically shifts the attention away from us and towards our partner’s needs, leading to empathy, understanding, and the dissolution of conflict. When couples manage conflict in a healthy way, they function as teammates with a mutual goal of understanding rather than opponents. It’s not inherently destructive to fight; in fact, it can allow for growth and deeper connection. The important thing is to recognize when communication has fallen into a harmful cycle of attack-defend is to focus on understanding and expressing your more vulnerable feelings. Also try to practice empathy and perspective-taking, and to learn to listen for and be attentive to your partner’s needs. Gill, Debra S., Christensen, Andrew, & Fincham, Frank D. (September 01, 1999). Predicting marital satisfaction from behavior: Do all roads really lead to Rome?. Personal Relationships, 6, 3, 369-387. Sanford, K., & Wolfe, K. L. (June 01, 2013). What Married Couples Want From Each Other During Conflicts: An Investigation of Underlying Concerns. Journal of Social and Clinical Psychology, 32, 6, 674-699. Whiting, J. B., & Cravens, J. D. (October 01, 2016). Escalating, Accusing, and Rationalizing: A Model of Distortion and Interaction in Couple Conflict. Journal of Couple and Relationship Therapy, 15, 4, 251-273. Nelson, B. W., Laurent, S. M., Bernstein, R., & Laurent, H. K. (March 01, 2017). Perspective-taking influences autonomic attunement between partners during discussion of conflict. Journal of Social and Personal Relationships, 34, 2, 139-165. Marigold, Denise C., & Anderson, Joanne E. (September 01, 2016). Shifting expectations of partners’ responsiveness changes outcomes of conflict discussions. Personal Relationships, 23, 3, 517-535. Hazan, C., & Shaver, P. R. (January 01, 1994). Attachment as an Organizational Framework for Research on Close Relationships. Psychological Inquiry, 5, 1, 1.